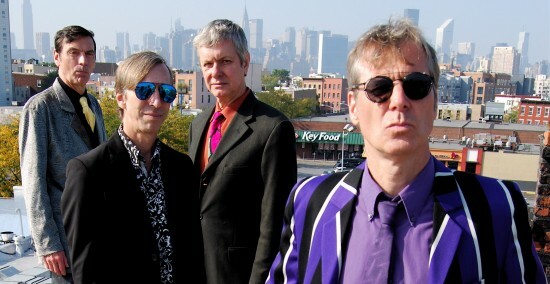 As singer for the American garage rock kings the Fleshtones, Peter Zaremba has watched his band evolve from its 1976 birth into one of New York’s most consistent presences in rock. Playing alongside East Village legends like the Ramones & the Dictators for years, the band served as the christening band for many a local venue, including Danceteria, Irving Plaza and Maxwell’s. In the mid-1980s, the Fleshtones perfected their wild stage show by playing reguarly at the Pyramid Club on Avenue A, and helped start the legendary drag-queen festival Wigstock. With a list of milestone accomplishments in rock too numerous to name, the Fleshtones are ironically the greatest underground sensation in the history of rock and roll; it’s as if they should only be discovered by music lovers with integrity who deserve to ingest the unbridled rock and roll purity infused in their legacy. Additionally, a generation of music television fans remember Zaremba as VJ and host of “IRS Records Presents The Cutting Edge” on MTV from 1984 to 1987. The show, cited as an important early outlet for what became known as alternative music, featured underground artists mostly gaining airplay on college radio. The band has just released its 23rd album “Wheel of Talent” on Yep Roc Records, and kicks off a long tour at the Grand Victory in Brooklyn on Thursday, February 27. We sat down to talk with Peter about the Fleshtones video, rock and roll, and more. 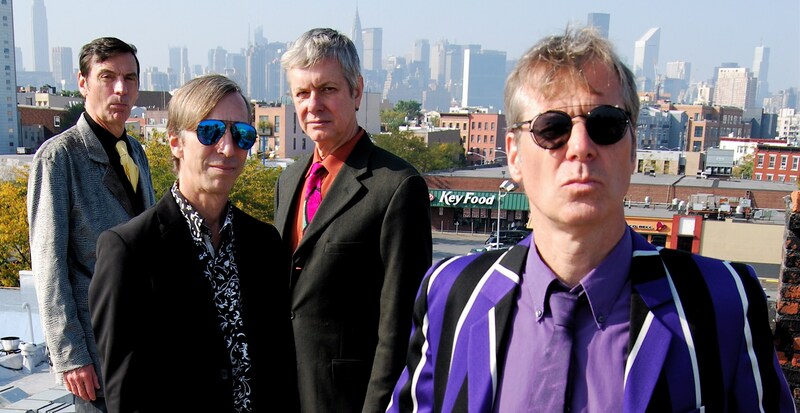 There’s so much to talk about with the Fleshtones. To get the whole story, you’d have to write The Fleshtones Encyclopedia. Different eras of music fans know you from different projects, between the Fleshtones and IRS’s “The Cutting Edge”. Of all the music video projects, which one captured the personality of the band? The most popular one was “The Right Side of a Good Thing” video that shows us having a big party and whatnot. That was a good one. What do the Fleshtones do when they do their best? I’d say to watch “Right Side of a Good Thing” for the answer to that question. I think “Soul City” captures the raw energy, and is fun. M. Henry Jones [director of the video] and I were schoolmates. At that point, I was at the School of Visuals Arts, and so was Henry. We were always talking about movies. There was a great little group of us there, and even though I was a painting major, I never did much painting, it was more music and whatnot. I think it was Henry’s idea, just trying to film us doing one song. He shot us in 35 millimeter, big professional movie camera, it was a big deal. And then what he did was put it into a regular printer, and printed 8x10s, and then cut out the 8X10s with an Exacto knife and animated them. He did photo animation and constructed cycles out of the photos and created color backgrounds. He spent about a year on it – he and a group of willing girl students, his elves. (laugh) They were spending time at his apartment cutting these things out. He debuted this at the first ever punk rock show down in D.C. in 1977, 1978 or something. Youtube doesn’t do it justice, you really have to see it projected. If you want to see a nice artsy one that ended up being copied by many other groups at the time, we shot one, more of a short film, for a song called “Beautiful Light”. There’s my edit and then there’s M. Henry Jones’ edit. You can see that on YouTube. What was the idea behind the tone there? We shot in 16mm film, and there’s a lot of editing to it, but it is very influenced by Andy Warhol’s movies. There’s more going on, but I recommend YouTubing that one. A very nice piece of filmmaking. The Fleshtones had all these firsts, all things that every band has wanted to do, from playing this venue to working with that artist or producer. It’s a storied history. The band seems to have done everything there is to do. We’ve done everything except make a lot of money. Maybe that’s why we’re still together. I don’t know. How did you come to host “IRS Records Presents The Cutting Edge”? Did IRS see you as a good bet as an on-camera personality for this type of show? First of all, when MTV started out, they had a lot of time that they didn’t know what to do with, and they figured Sunday night was a dead time. They gave an hour every Sunday evening to Miles Copeland of IRS Records, and said, just do something with this. So Miles brought it to some guys at IRS and told them to make a show. They had a great start with all these crazy IRS bands – the Cramps, the Police, everybody. Miles, as conservative as he was, he was a huge fan of the most outlandish acts. I mean, he signed us! And Jimmy Skafish, the Stranglers, I mean, some crazy bands. He really HAD it. They put together this show that ended up being not a new wave show, but a show that featured what came to be called alternative music. That idea coalesced around the show a bit. Jeffrey Vallance was the original host, but he quit to go do a doctorate on the natives in Fiji. They needed a host, and someone said they needed someone like Zaremba, because we had been on the show a few times. And someone else said, well, why don’t we just get him? Of course I leapt at it, such a great thing to do. So for a few years, I would fly out for a few days every month, and we’d shoot a show. I had no hosting experience, which is probably obvious. Did they direct you to do anything in particular? Oh of course. At first they did this thing where I sat in a big chair and had a big goldfish in a bowl. And then after while, they got some girls to stand by me. They had a few things they really liked me to do, but we broke away from that pretty quickly. And we had EVERYONE on the show. Jonathan Richman, and Morrissey who refused to be interviewed and said, “Just give me a camera and lock me in a room for 30 minutes, and then I’ll push the tape back under the door.” We interviewed Iggy Pop in a tree. People like John Hiatt, too. We did some traveling, and we did a great Mardi Gras show, with our friends the Hoodoo Gurus and the Bangles, and some New Orleans musicians. We did a wonderful show in Austin. For a while I had a budding career being in documentaries about other artists. I appeared in The Devil and Daniel Johnston, because he had been on The Cutting Edge. Then there was the Monks documentary Monks: The Transatlantic Feedback, so that was a great thing. The last season we did what we called “the happy hour shows” which were almost completely live, with guests like Red Kross, Willie Dixon, and Jimmy Cliff. Really good stuff. I have to say, I’m totally 100% proud of that show. The show was a very positive influence on a lot of people – a lot of people who couldn’t go to clubs and whatnot, you know? It opened a lot of doors for viewers. I see where “The Best of The Cutting Edge” came out on DVD. I tell this story frequently, and it’s tragic. It’s almost all original footage that we filmed, and we started the unplugged thing. R.E.M. did it, and that kind of kicked that off, and the rest of MTV picked up on it. We filmed hours and hours of footage. We shot so much footage with Jonathan Richman — we went to club and he got up and did a song, and then another and another, and we had so much stuff. We had so many outtakes. Anyway, when IRS was bought out by Sony, and they moved all the stuff, and I remember going to the office and seeing a dumpster filled to the brim with beta tapes. Piled to the top. You name an artist, anyone, they all had stuff in there. Each of those reels had so much. It was horrible. That’s like burning the library at Alexandria. Let’s talk about the present. How do you know when it’s time to make a new Fleshtones album? We’ve gotten to the point where we always feel like it’s time to make a new album. After years of having a rough time in the studio, we’ve finally gotten to the point where we know what we’re doing, which is shocking. We just finished this record, and right now I’d be willing to go in and do another. Songs come to me in my dreams now. Keith has dozens and dozens of songs. It’s just a matter of having time to go into the studio. Did some of this in Spain, some of it in Williamsburg, with our friend Jim Diamond in Detroit. We even did some in North Carolina. Which reminds me, it’s so great that we found a home on Yep Roc Records. [For the new album Wheel of Talent] we hadn’t done an album in a couple of years. We’d done the project with Lenny Kaye and an EP, so we were overdue. We had the material.At this point it has become a lot of fun to record, and we’re generally happy with the way it sounds. Was that not the case in the past? Yeah. People have very fond memories of us from [albums] Roman Gods or Hexbreaker!, which are monumental records, but monumental effort went into making these things. Again, I could easily write a book just on the making of Hexbreaker! because it was that convoluted and difficult. There was a lot of conflict, a lot of confusion, and a lot of overreach. We wanted to do everything. And at that point, if I had one good hook, then I could make a great song, but if I had twelve good hooks, it was twelve times as good. (laugh) But the human brain can’t hear that many in one song, and we tried. We put a tremendous effort into trying to mix it, and the mixes would get rejected. I’m serious, I could write a short novella on the making of Hexbreaker!, starting with the late Gordon Spaeth, our sax and keyboard player at the time. We were saying we were making a record that would scare people, that’s how intense it’s going to be. The people we mostly ended up scaring were ourselves. There are so many funny stories from that. I ended up having to go to Hollywood to mix the record, to get us out of New York, and Miles Copeland now owned Raymond Burr’s mansion. The house was totally empty, and they decided to put me up there, so it was just me and the caretaker. I had this bedroom that was as big as a basketball court. It had padded walls, and I slept on a mattress on the floor. That was more psychically damaging than the record itself. (laugh) People shouldn’t mess with voodoo, which is what we were doing on that record, but kids can still listen to it and enjoy it, and not have to go through any of that. We did the work for the benefit of everyone’s enjoyment, which is good. Some musicians say that internal band conflict can help give live or edge to the music. Do you think that was the case here? No! (laugh) Maybe people can pick up on the stuff going on psychically, but we wanted to make very straight-ahead records. Our idols were the Kinks, the garage groups, soul music, and they didn’t torture themselves making records. My point ultimately is that we finally found a happy way to record. We could record ten albums on the money we spent to make the Hexbreaker! album, and they’d be fun albums where nobody ends up in the hospital, and there’s no process servers banging at the door at 4am so then we have to do 38-hour sessions in the studio because we can’t leave or risk being arrested — which might have happened. And on top of that, I’m reading Ray Davies’ “Americana”, and I saw them when they were playing in New York, and they got into a fight onstage, and Dave fell backwards into the amp stack and was buried under there. So I learned something from that – keep playing! But Ray and Dave were strangling each other up there. What is your favorite song on the new album Wheel of Talent? Seriously, I was the happiest writing “Remembering The Ramones”, and it came to me when I was mowing the lawn. Within ten minutes, I had that song finished in my head, and all that remained was me picking up the guitar and figuring out the chords. Is it strange to think that Joey, Johnny and Dee Dee are all gone? It’s not just strange, it’s exceedingly sad. It’s just amazing. Only Tommy, huh? Very sad. Just unbelievable that they are gone. But the song is a nice tribute to them and to our time. We were super eager people worming our way through the crowd at CBGBs, right in front of the monitors. It was a 15-minute adrenaline blast every time. You were running in those circles back then – CBGBs, Max’s Kansas City, Club 57, right? We pretty much kicked off Club 57. They had dances and stuff, but we kicked off the rock and roll, and then we left there, the musical director took us over to the Polish Army Home. We organized shows there. We were one of the first to play Irving Plaza, and we headlined the first show at Maxwell’s. But Richie Barone enjoys reminding me that since he opened for us, his band was technically the first band to play Maxwell’s. Sadly, we were the last band to play the Windows on the World at the World Trade Center. The manager was complaining after we played, so the series that we were a part of was cancelled. They might have had a private party or two, but we were the last advertised band to play there. They just didn’t want to do rock and roll shows there anymore. We were also the last band to play on Andy Warhol’s “15 Minutes”. Didn’t you back up Sir Ian McKellan’s sonnet reading on that show? Did you really help create Wigstock? Okay, it’s true, although I was not the one who came up with the name. We were the house band at the Pyramid Club, early to mid eighties. We’d slosh around after the gig, and head over to Tompkins Square until it got light outside. The late Wendy Wild, a performer, and Keith Streng from the Fleshtones and myself were talking about doing a show, and I think Wendy came up with the name. We did perform at the first Wigstock. How did the book Sweat: The Story of the Fleshtones, America’s Garage Band come about? A labor of love by a young author from Dekalb, Illinois, just started following us around and interviewing people. I thought it was amazing that anyone would bother writing a book about us, but he sure did. To this day, people come up to me and say, “This is the first time I’ve ever seen the band. I don’t know your music, but I read the book Sweat,” which really blows my mind. And I’ll say to them, “You mean, you read a 400-page book about a band you never heard? What were you, in jail or marooned on an island or what?” (laugh) I’m very happy with that, but it’s the cleaned-up version. Will there be a more explicit version? Only if I write it, right? (laugh) No, I think it’s good that way so that younger kids can read it. Yes, on Uncle Floyd with the Four Seasons! And me in an all-star band at CBGB’s backing up Bobby “Boris” Pickett. There’s a show about us called “Paris in Delirium” which is sort of like Beatlemania. I think there’s footage of us playing in Sardinia. There’s just so much footage he couldn’t use because so many people think their footage is worth a million dollars. It may potentially be, but right now, it isn’t. A guy with a limited budget but extreme passion just can’t get all the footage. Even a few seconds here and there. Us at M80, the first national new wave festival at the Walker Center in 1979 with Devo and others – that was an amazing show I wish we had footage of. Let’s talk about “I Was a Teenage Zombie”. We had done this thing with Tom Hanks for the movie Bachelor Party called “American Beat.” Some guys over in Jersey saw it, and ended up doing this teenage zombie movie, and asked us to write a song and do a video. It was a nice video, with the cast from the movie. The video is very beach-movie era. Very interesting guys from Jersey. You guys have been able to take advantage of all these opportunities. You worked with producer Steve Albini. Steve Albini is the guy who turned to me in the studio, and said, “What the hell do you guys need a producer for anyway?” I was shocked, but then I thought about that a lot. He was the last producer at that level we used. We do it all ourselves now, with really good engineers. We don’t have to work with producers whose vision doesn’t match our vision, and that’s another reason that making the albums are more fun now. That’s a great thing to say to a band at a certain point. I’ve come to respect that statement from him so much. It made such an impression, and we took his advice. What do you remember about sharing rehearsal space with the Cramps? Well, I remember that we were the ones thrown out for making too much noise. How did you get involved with the garage rock promoters for Cavestomp? Hmm, how did we meet John Weiss? He was playing on Roman Gods, tenor sax. Then he was in another band, the Vipers, and we remained good friends. Then he starts promoting shows, and since I had proved that I could host stuff like “The Cutting Edge”, John asked me to be the MC for Cavestomp. I threw myself into it – screaming at the audience and not having to play. We ended up playing anyway. Part of the process of Cavestomp was bringing back great garage bands, and I always felt that the original garage bands were guys playing contemporary music the best they could. 1969 came, and they tried drum solos, and in 1970s, they tried to play 70s rock. I don’t think they had any real aim. So I was wary of bringing these bands back. I was skeptical of ? and the Mysterians coming back. But when they played Cavestomp at Coney Island High, it was one of the greatest performances ever. It really clicked for me when I saw ? on stage. You know how when you go under general anesthetic, you count backwards and you start forgetting numbers and next thing you know, the operation is over? It was as if someone had done that with time, because we felt like we went back to 1967. His band was so vital and so on. I saw you guys at Little Steven’s Underground Garage Rock Festival on Randall’s Island. Oh, where we got to play a song and a half? Yes, and the Raveonettes came all the way from Europe and only got 15 minutes. Boy were they pissed. Actually, what we had done, since we were friends with the guys, and we ended up backing Dave Faulkner. He produced us and signed us to Trafalgar. He kind of saved us at a point. Powerstance [1992 album] sold pretty well. There was a tour we did in the mid-eighties with Echo and the Bunnymen that was over the top and bombastic. It was fantastic. Started off a little weird. Our booking agent thought it would be a good idea. At first, they were like most English bands, kind of aloof, but by we hit Arizona, we were in each other buses playing songs, and by the time we hit California, we were doing songs with each other. It was great. And every night, we won over the audiences that were waiting for Echo and the Bunnymen. There was a certain amount of cross reference at that point. We had a lot of people who came to see us as well. By the end of the set, we’d won them over, left them wanting more. Billy Bragg was also on that tour, and rather than ride with the Bunnymen in the bus, he traveled in the van with us. We showed him the ropes, lighting off fireworks, what have you. As for this new tour, we are at the Grand Victory on Thursday night. All I can say is, if you’ve see us before, come see us again. We’re still a lot of fun. If you haven’t seen us, you have no idea how much fun a band can be. Will we see videos for any songs on Wheel of Talent? We’ll be in Madrid soon, and I’d like to shoot something with a phone there.